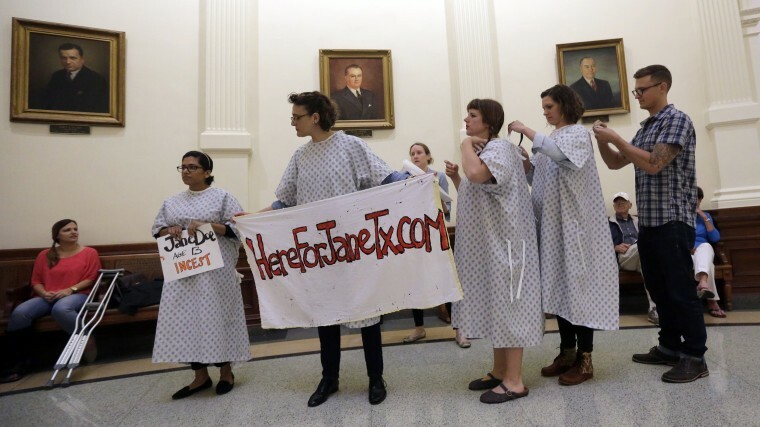 AUSTIN, Texas — A U.S. appeals court on Tuesday upheld the main provisions of a restrictive Texas abortion law including one requiring clinics to have certain hospital-grade facilities, a regulatory hurdle critics said was designed to shut down abortion providers. The 5th U.S. Circuit Court of Appeals, based in New Orleans, permitted the 2013 law to be applied across the state, although it exempted the application of some provisions to a clinic in the southern city of McAllen. The exemptions had been granted by a lower courton the grounds that its distance from other clinics could cause an undue burden on women in that area. In its decision, the court said the state's measures were intended to protect women's health. Under the "ambulatory surgical center" requirement, clinics must meet a set of building standards ranging from widening halls to having facilities for certain surgeries. Texas, the largest Republican-controlled U.S. state, has been at the forefront of advancing regulations restricting access to abortion. Abortion opponents welcomed the ruling. Texas Attorney General Ken Paxton, a Republican, said the decision would protect women from substandard abortion facilities. "I am proud to have both supported this law in the legislature and defended it in the courts," Paxton said. Abortion rights advocates have said such requirements are unnecessary, especially when an abortion is medically induced rather than performed through surgery. "Once again, women across the state of Texas face the near total elimination of safe and legal options for ending a pregnancy, and the denial of their constitutional rights," said Nancy Northup, president and chief executive of the Center for Reproductive Rights. The court overturned large parts of an August decision by U.S. District Judge Lee Yeakel, who said the ambulatory center requirement was unjust and had no compelling public health interest. Before the law went into effect, there were about 40 licensed abortion facilities in Texas, a state of about 27 million people. That clinic number is expected to drop to about eight with the ambulatory surgical center requirement in effect, Yeakel cited evidence as saying.